Master of Shadows Zed is ready for action! From the game League of Legends comes Zed as a highly articulated action figure. 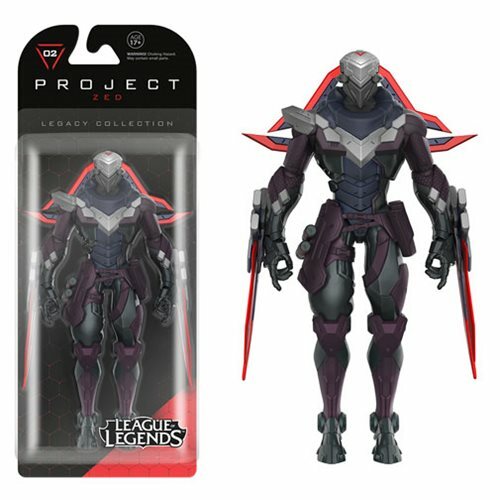 The League of Legends Zed Legacy Action Figure stands approximately 6-inches tall with over 20 points of articulation and comes in a window display box. Ages 17 and up.